Two books from the same publisher. Both are hardbacks, both monographs, both protagonists work mainly in three dimensions, and both appear on the publisher’s graphic design list. So why exactly is Sarah Illenberger’s book so much smaller than Julien Vallée’s? The designer monograph is a curious beast. In the early 2000s it seemed as if all any self-respecting designer or agency had to do was blink and they’d be offered their own monograph. You couldn’t move for the things, but all too often it was often a case of quantity over quality. For every Make It Bigger or The Art of Looking Sideways, there were ten more shallow showcase-type offerings, lacking any real critical insight, heavy on visuals but light on charm. Thankfully, the trend for monographs went away almost as quickly as it appeared (the Design Exchange’s cult-like Gas Books excepted), mainly because the publishers realised that despite being very cheap to produce (with essentially no writing or reproduction fees to cough up for), they didn’t actually sell very well. So, what is it that Monsieur Vallée has that Ms Illenberger doesn’t? On closer inspection they would seem to have a lot in common. They are both essentially a combination of craftsperson and art director, orchestrating objects they have made or found to create a quirky, playful vignette, which is then captured on camera. 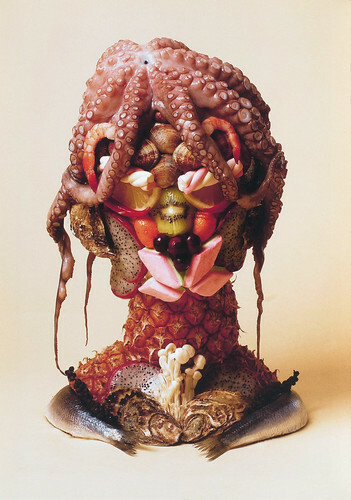 Sarah Illenberger image for ‘What Food Type Are You?’ (Welcher Food Typ Bist Du? 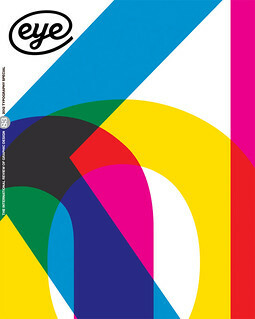 ), Neon Magazine, 2009. 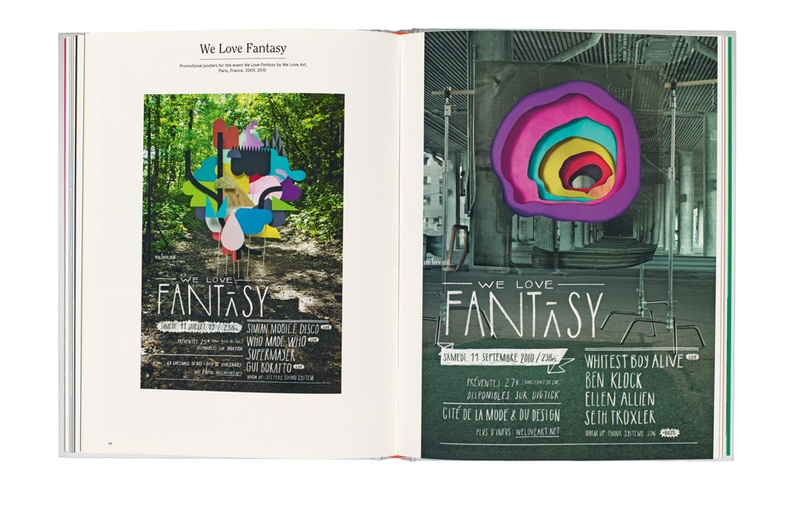 Top: spread from a section on Vallée’s work for We Love Art’s ‘We Love Fantasy’ electronic music events in Paris (2009 and 2010). One of the main differences between them is that the outcome of much of Vallée’s work is often a piece of moving image (a selection of which can be seen via Gestalten’s free JVallee iPhone app), whereas the majority of Illenberger’s work is created for editorial use. Vallée’s projects are more complex and his clients often bigger, but Illenberger is no less inventive. Both share a similar skewed vision that challenges your perception and makes you look at the world in a slightly different way (always a good thing). Their work is unusual in that it is much lauded by designers, but appeals to people who have no idea what graphic design is. In some ways Illenberger’s work is more understated – hers is a wry smile compared to Vallée’s firework night ‘oohs and ahhs’ – although there is nothing subtle about her vegetable-based infographics for Neon’s masturbation spread. Illenberger puts more of an emphasis on found objects and telling a narrative, and less on creating the big reveal, which is Vallée’s speciality. The larger format of Vallée’s book means that we can see behind the scenes, and gain some enlightenment from the (albeit rather sparse) explanations. 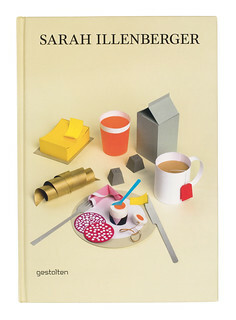 Illenberger’s book features more actual work, without the background information – but then we are spared Vallée’s self-conscious, self-penned introduction, with its tales of ‘doing crazy things with no apparent meaning’ and ‘the time we lost the couch at the end of a party and found it five days later, five floors below’. Crazy stuff, indeed. Both of these books are engaging but neither will change your life. Whereas Illenberger’s more diminutive book holds its own despite the lack of context, it might well be argued that Vallée’s gives us just that little bit too much information. Sarah Illenberger. The cover features her Good Morning (Guten Morgen) for SZ-Magazin, 2008. 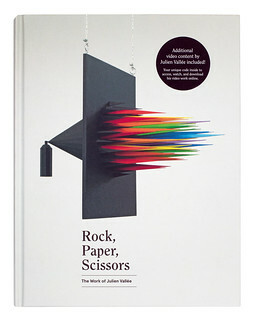 Cover of Rock, Paper, Scissors, by Julien Vallée, featuring his Spray Paint paper sculpture (2008).